Rental Car Hires are base rate only and do not include taxes, insurance, fuel levies, drop off fees, or environmental fees. 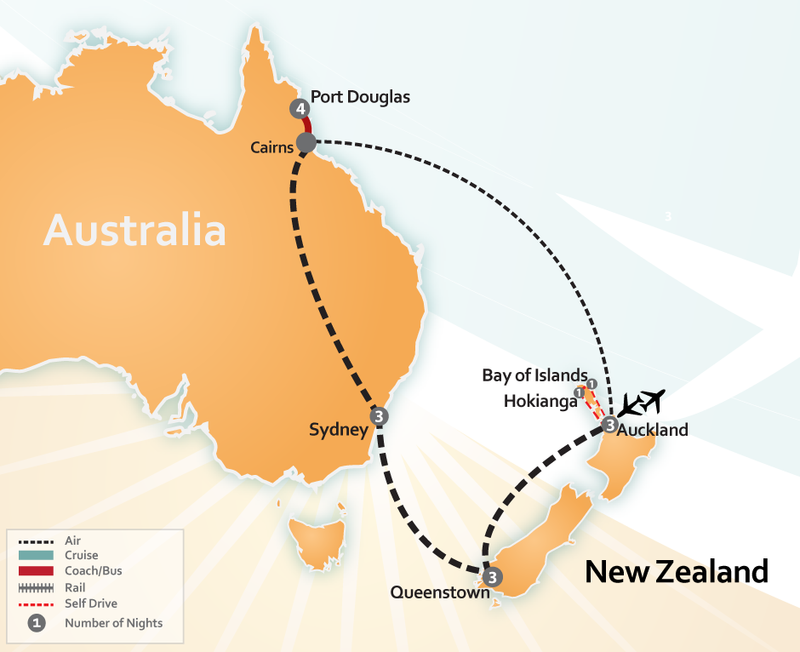 17 Days / 15 Nights – New Zealand and Australia. 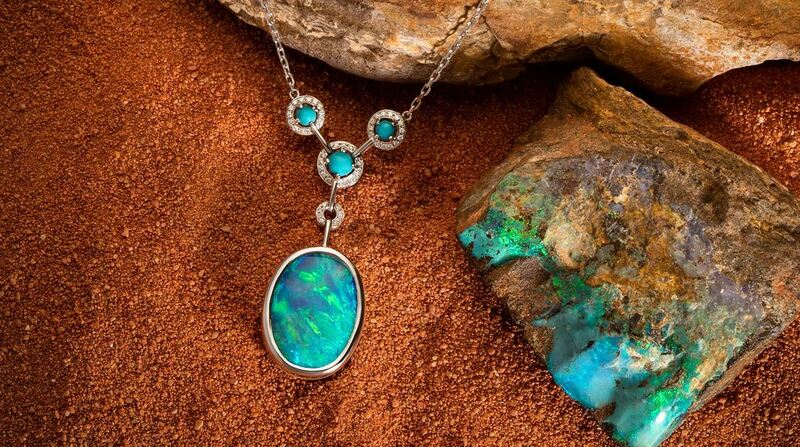 If you’re looking for a glamorous getaway full of once in a lifetime experiences, look no further! 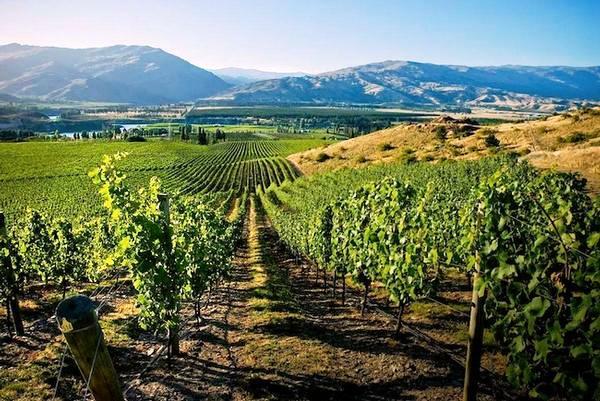 With this package you will experience the wide variety of what New Zealand and Australia have to offer, from winery tours to thrill-seeking adventures. 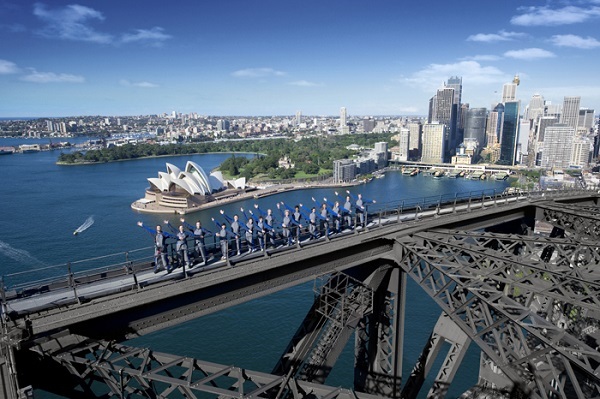 There is plenty of time for shopping, hiking, or exploring the cities at your own pace, in between taking a dive in the Great Barrier Reef or Climbing the Sydney Harbour Bridge! 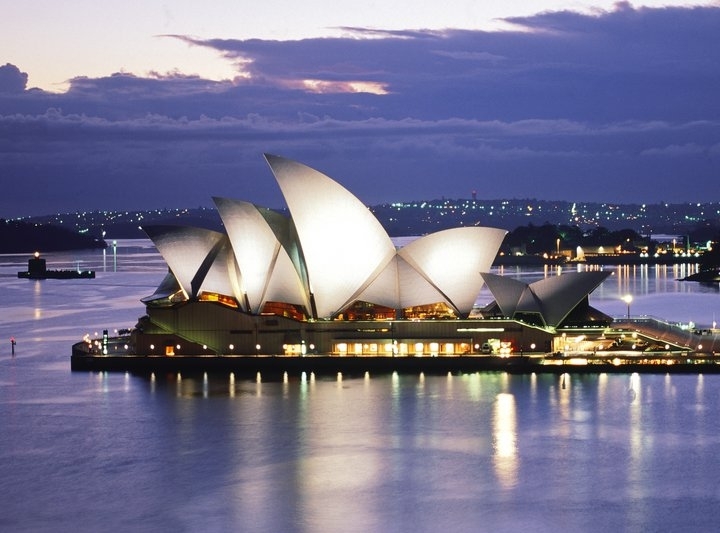 This trip is proposed for all looking for a truly memorable trip Down Under. 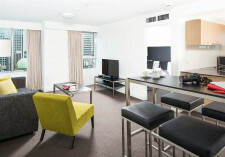 Travel to your accommodation in Auckland, New Zealand, where you will be staying whilst on vacation for 1 night. 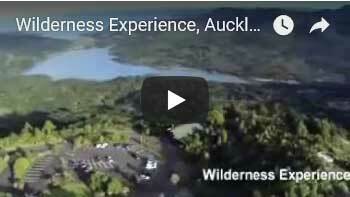 Discover New Zealand as you travel by rental car. 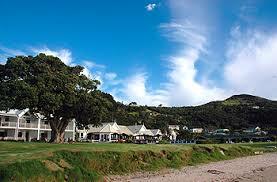 Enjoy a scenic self-drive to Auckland to the Opononi Resort Hotel on the Hokianga Harbour. Today begin your self-drive from Auckland to the Hotel in Hokianga (appx 3.5 hours) Follow State Highway 1 to State Highway 12 in Opononi. Approximately 1 hour 40 minutes into the journey, you will pass the Kaipara Harbour and arrive at Matakohe. Here you might like to stop at the Kauri Museum to learn about the history of the kauri tree. Continuing north past the town of Dargaville, you will venture into the Waipoua Forest – home to Tane Mahuta, the largest kauri tree in the world. 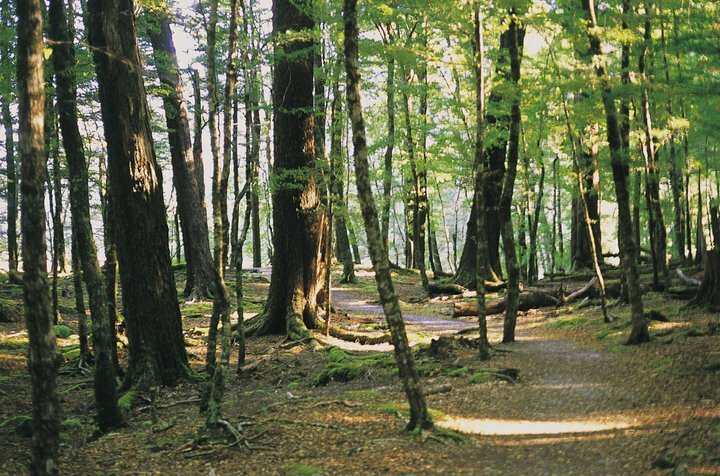 You may like to take a guided walk through the forest to learn about maori legend and history in the area. A 15 minute drive north of the Waipoua Forest will have you arrive at the Opononi Resort Hotel situated near the mouth of the Hokianga Harbour in the historic area of Northland. 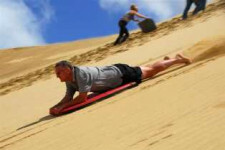 Travel to your accommodation in Hokianga, New Zealand, where you will be staying whilst on vacation for 1 night. By the quiet water’s edge of the harbour you will find the welcoming modern comforts of this 4 Star Qualmark rated Hokianga hotel in Omapere. From the beachfront rooms of the Hotel and Resort you are just a one minute stroll to the shore, providing a picturesque and relaxed atmosphere, away from the hustle and bustle of city life. The elevated rooms with balcony offer magnificient views over the harbour and towering sand dunes. Hokianga Harbour remains a relatively untouched land of contrasts, from lush kauri forests to sun kissed sand dunes, calm harbour waters to surf breaks on the sandbar. In the heart of this subtropical microclimate, the hotel provides the perfect base to explore Hokianga’s rich history and beauty, and to experience a slice of kiwi paradise just three hours north of Auckland. 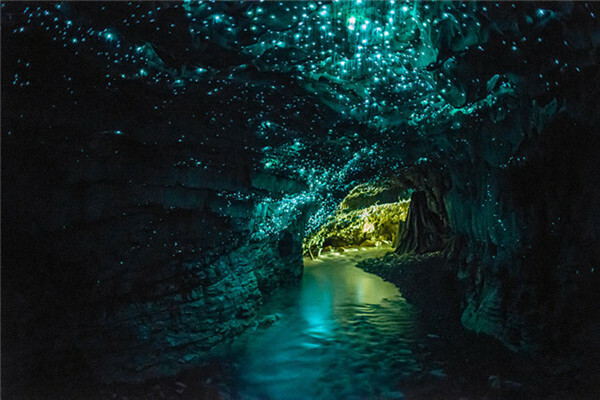 Enjoy panoramic views of the stars that were once gazed upon by legendary ancestors of New Zealand whilst your guide relates stories and legends of the forest and gods. Setting out from Hokianga by coach, your Maori guide will brief you on the protocols for your visit to the mighty Waipoua Forest. Stepping into our special world you will be walking under the same stars that guided our ancestor Kupe from legendary Hawaiiki to New Zealand. On the paths of the forest we meet trees that were already giants before his arrival and that were standing before the birth of Christ. You will experience the affinity that early Maori had with the forest and the deep spiritual respect they hold for the giants still growing there. Learn of the rich bird life and other fauna that inhabits the forest and witness the transitions of life and the day turning into the night. Your Maori guides will relate stories and legends of the forest, of its gods, and other spiritual inhabitants. They will greet the giant trees with spine-tingling waiata (sacred chants). You will learn how Maori used plants for medicinal purposes. As night falls, the shyest creatures of the forest awaken and begin to go about their work. You may encounter insects like weta, nocturnal birds, eels, fresh-water lobsters or the magnificent but slightly chilling giant carnivorous ‘kauri’ snail. Deep in the forest among the towering trees and surrounded by the sounds of the nocturnal creatures awakening, you will meet Te Matua Ngahere – ‘The Father of the Forest’. 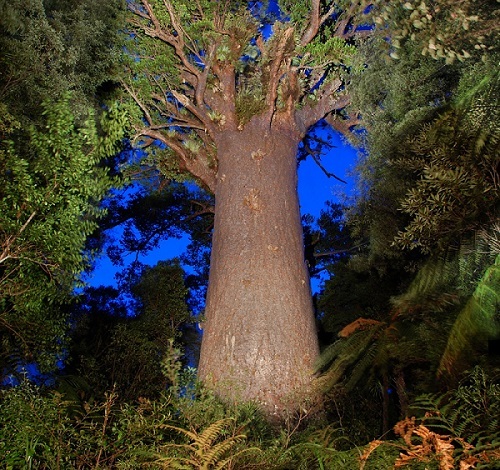 At between 2,500 and 3,000 years old he is the oldest known kauri tree in the world. Your guide will greet this giant as an old friend. 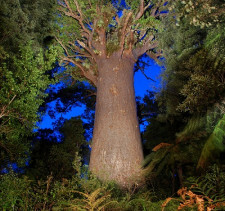 The highlight of the tour will be your meeting with ‘The Lord of the Forest’ – the giant Tane Mahuta! Your guide will formally greet the silent giant and then suddenly you stand dwarfed before his Lordship as the darkness closes in. His gnarled ancient limbs seem to grasp at the stars and the forest is silent but for the dim chatter of its night creatures. 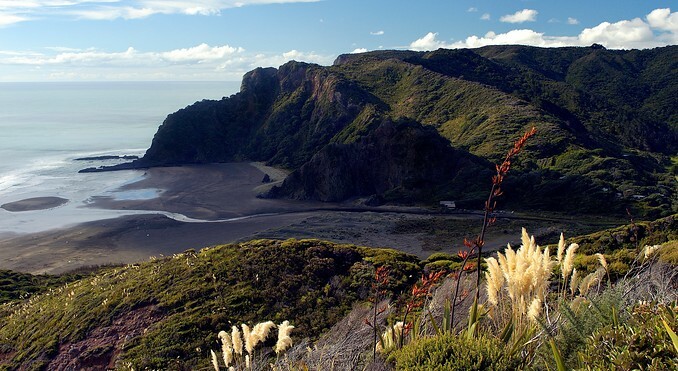 Enjoy a scenic self-drive from Hokianga to Bay of Islands. 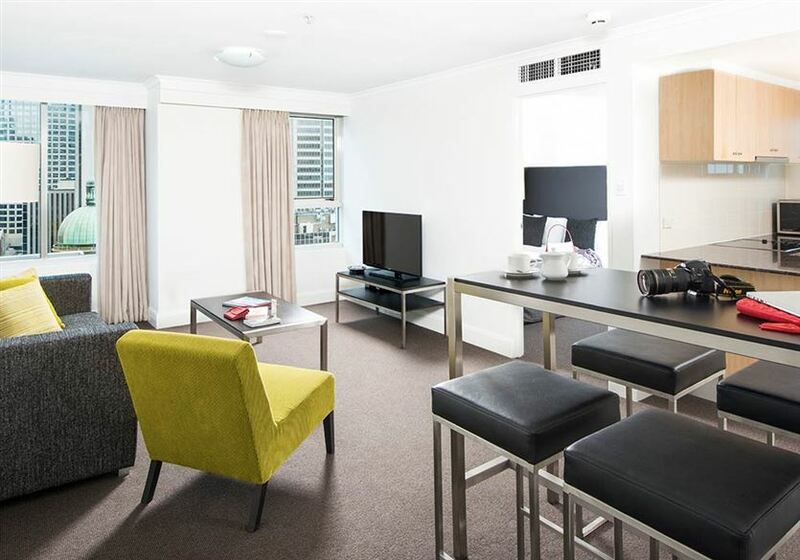 Travel to your accommodation in Paihia, New Zealand, where you will be staying whilst on vacation for 1 night. 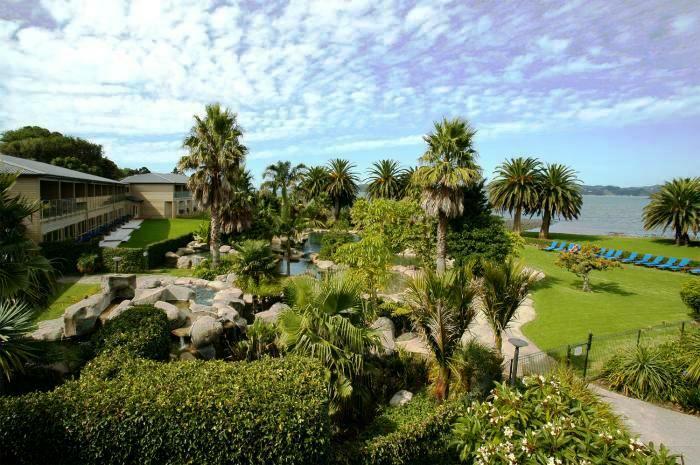 This welcoming Bay of Islands hotel commands a superb waterfront location in the heart of the Bay of Islands, offering uninterrupted bay views surrounded by 60 acres of subtropical gardens as part of the historic Waitangi Treaty Grounds. With 180 guest rooms including four suites, the hotel provides individual patio or balcony from which to enjoy the bay, estuary or garden views while the rooms offer a serene escape with designs inspired by nature. 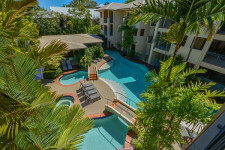 Onsite facilities include tennis court, spectacular free form lagoon style swimming pool, mountain bike hire and courtesy shuttle to downtown Paihia. 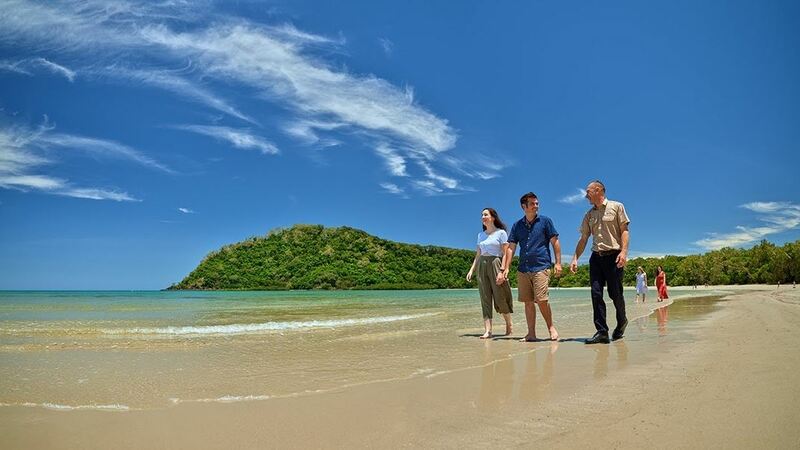 The Hotel and Resort Bay of Islands is the perfect base when you want to play scenic golf courses, participate in some of the best big game fishing in the world, experience the wonder of the local native bush walks or to simply relax in a picturesque location. Take it easy afterwards in the massage studio, and end your day with a long cool drink in the bar. 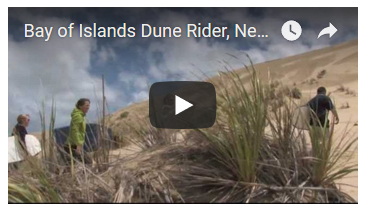 A full day tour in a unique Dune Rider vehicle. Take a full day tour in the unique Dune Rider vehicle. Let the drivers immerse you in the culture and history of the area, while taking in the amazing scenery. 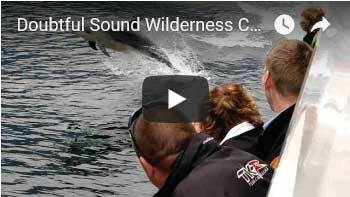 This is arguably the best day adventure to the Far North. The Dune Rider vehicle is purpose built to go off-road and air conditioned. It has just 36 reclining seats, offering lots of leg room and has a sloping floor giving the best views. 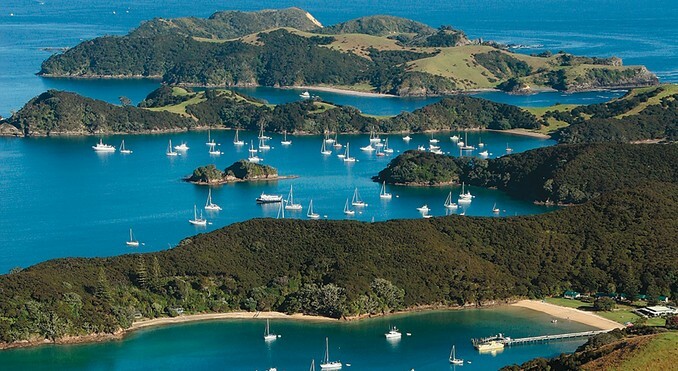 Cruise and discover the very best of the Bay of Islands. Today Self Drive from the Bay of Islands to Auckland (3 hours). This drive will take approximately 3 hours. Leaving the Bay of Islands Resort, follow State Highway 11 to State Hwy 1 in Kawakawa (20 min). Continue to follow State Highway 1 to Auckland (2 hr 38 mi). 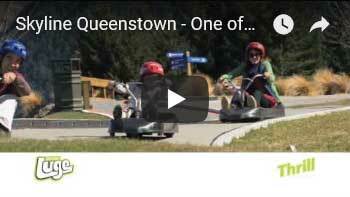 Visit one of Auckland’s many attractions. Fly a kite or throw a Frisbee in the beautifully landscaped Auckland Domain, the city’s oldest park. Critique a giant selection of both traditional and contemporary art at Auckland Art Gallery. Take a walking, swim or hike through any of Auckland’s 25 Regional Parks. Have a laugh at The Classic Comedy and Bar in Queen Street, New Zealand’s home of live comedy. Take the bus over to Eden Park, New Zealand’s largest stadium. In the evening you can join the dancing on K’Road and party on till the wee hours at one of the many nightclubs. Or maybe you would rather visit the trendy suburb of Ponsonby and enjoy delicious cuisine, superb lattes or cocktails if more to your taste. And if it is cafes, bars and restaurants you’re after, the Viaduct Harbour has a great selection. Marvel at spectacular coastal scenery including the Hole in the Rock, Cathedral Cave and the inner islands while aboard a luxury catamaran. Also see the historic Waitangi Treaty House and a ‘waka’ (Maori war canoe). Travel north over the Auckland Harbour Bridge and enjoy spectacular rural & coastal scenery enroute to the Bay of Islands via Hibiscus Coast and Whangarei. Bay of Islands is one of the most picturesque and popular vacation sites in New Zealand and was the site of the earliest contact between the indigenous population and European settlers. Take a trip into the past and visit such historical places as the Waitangi Treaty House, see a traditional Maori Meeting House and a huge ‘waka’ (war canoe), Captain Cook Memorial Museum, Flagstaff Hill and the oldest building in the country (Kemp House) along with the oldest Church. 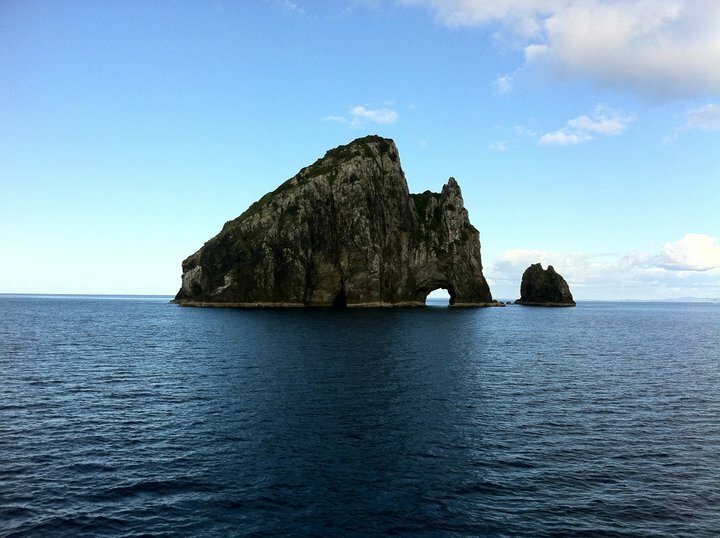 In the early afternoon at Cape Brett, board a luxury catamaran for your cruising adventure through game fishing waters as you cruise past the Cape Brett lighthouse to the famous ‘Hole in the Rock’. The excitement grows as you make a passage through the Hole and then continue on to the majestic Grand Cathedral Cave. On your return journey relax and enjoy subtropical paradise views with your favourite drink as you meander through the inner islands back to Cape Brett which are world renowned deep sea fishing grounds where porpoise (dolphins) and schools of fish are frequently seen. 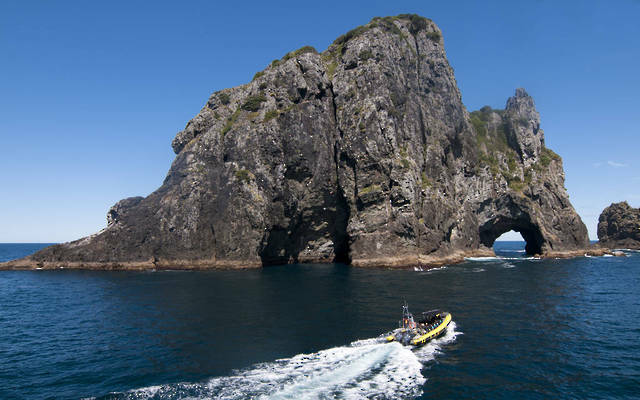 With the Bay of Islands’ combination of great fishing, diving, sailing and other water sports with some of New Zealand’s most significant historic sites you will be sure to have fun! 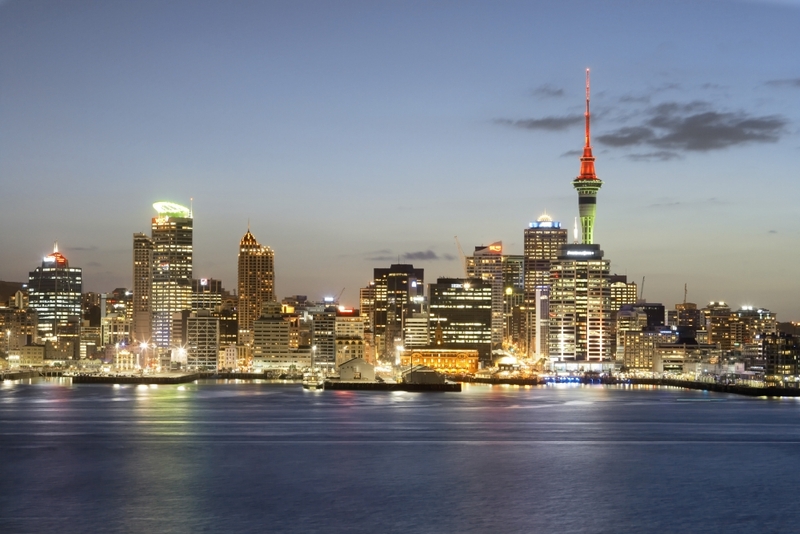 Experience the best sights of Auckland City in the morning. 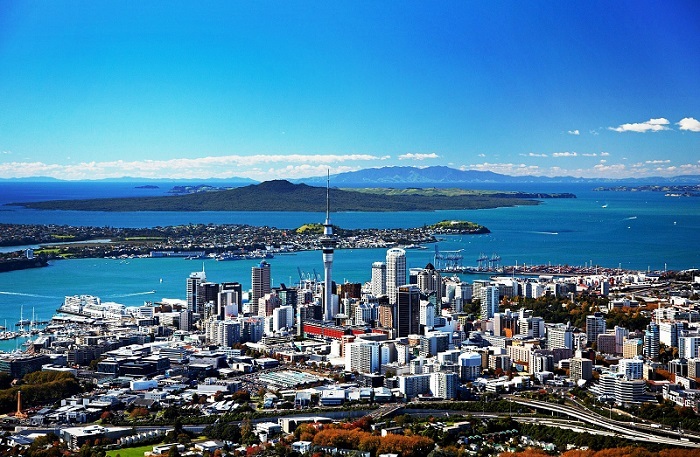 Auckland is set on 52 dormant volcanic cones and between two harbours, the sparkling Waitemata and the brooding Manukau. 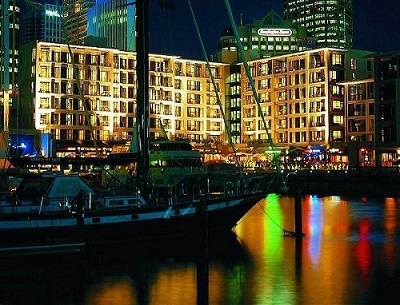 Known as the City of Sails, it is New Zealand’s largest and busiest city. The morning tour is a journey of discovery designed to explore the history and sights as well as see how Aucklanders live and play. Travel up Queen Street, through Auckland’s central business district, past the Auckland University and through the inner city park, known as the Domain. 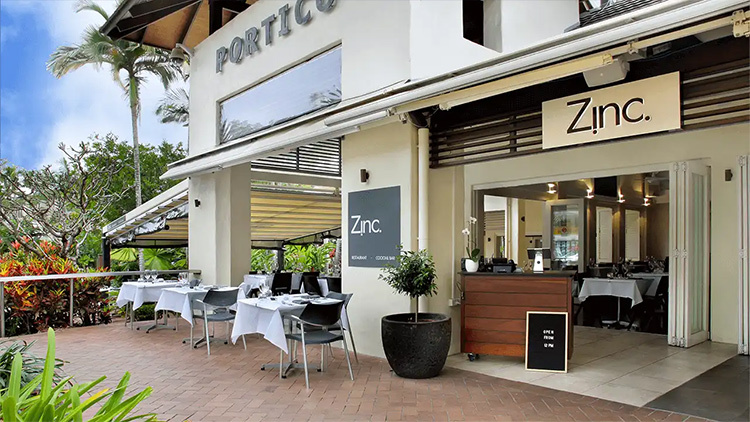 Continue on through the picturesque suburb of Ponsonby, with its historic buildings before heading over the Harbour Bridge to Auckland’s North Shore. Stroll on Narrow Neck Beach in historic Devonport. There is time here for a coffee before continuing up to the summit of Mt Victoria with its stunning panoramic views of Auckland City. Travel back over the Harbour Bridge to Westhaven Marina, one of the largest marinas in the Southern Hemisphere. Then visit the Auckland Fish Market, before continuing on to the Viaduct Harbour. 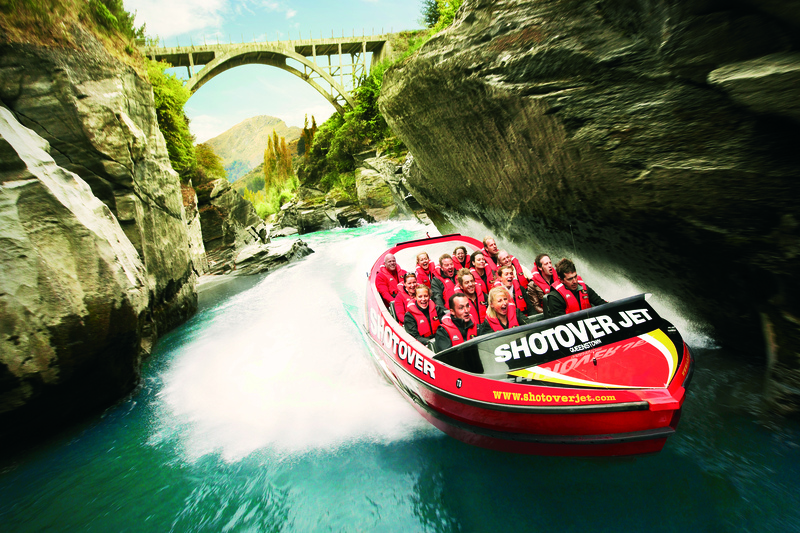 Visit two of New Zealand’s most famous attractions on this deluxe five-star coach tour. 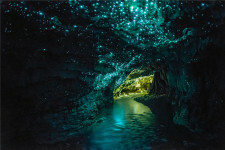 The Waitomo Glow-Worm Caves and the spectacular geothermal regions of Rotorua, rich with Maori culture and natural history, make this a truly memorable day. WAIKATO:Travel through New Zealand’s largest dairy and sheep farming province. Travel the outskirts of Hamilton City via the small farming settlements towards the King Country, birthplace of the Maori Monarchy. LIGHT LUNCH:Served on-board as we make our way to Rotorua through magnificent rural farmland with its vast numbers of grazing animals. One of Rotorua’s most famous attractions. See woodcarving, weaving displays, Maori village and the thermal valley with the famous Pohutu Geyser, fumaroles, colourful silica deposits and boiling mud pools. 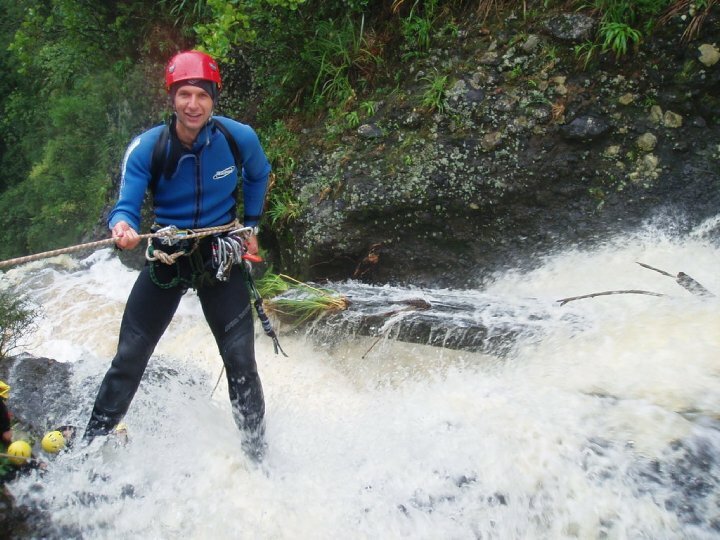 The Piha Canyon – Abseiling (repelling) down showering waterfalls surrounded by moss and fern covered volcanic rock walls, swimming through pools of blues and greens, jumps, caves, and slides as you explore the canyon! You will also see the remains of the original pioneers wood constructed logging dam and learn about the local history and Maori culture. Includes transport, bakery lunch / refreshments, full equipment, a visit to black sand Piha Surf Beach and a beautiful rainforest walk. All obstacles are optional, no experience needed. Minimum age 12 years. Any booking of less than 4 pax will be confirmed as tentative. The America’s Cup Sailing Experience offers the unique opportunity to sail on these grand prix racing machines! Enjoy two hours as passengers become the crew and are encouraged to take the helm, exert energy on the grinders or simply sit back and enjoy the action as we sail down the Auckland Harbour. 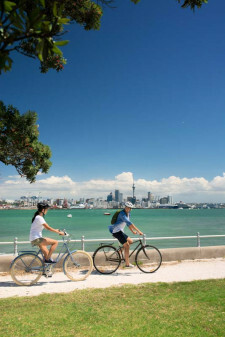 The trip suits people of all experiences and abilities and is the perfect activity in Auckland, ‘City of Sails’. Upgrade Available: 3 Hours Match Cup Race (extra cost) – Not Available from April-October. 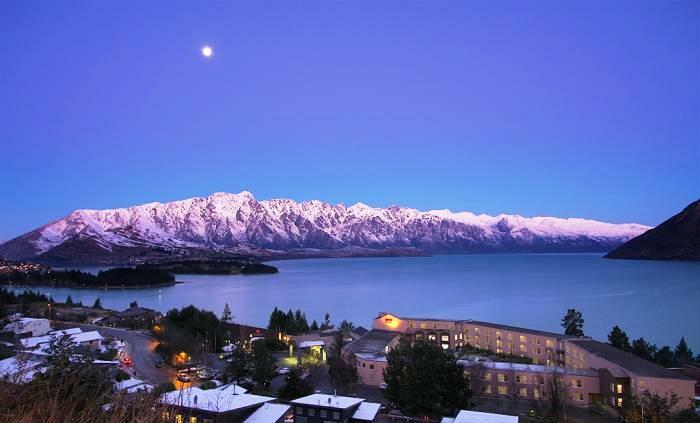 Gaze in awe at panoramic views of Queenstown before you sit down and enjoy a truly unique New Zealand buffet. Marvel at the stunning views as you ride the Skyline Queenstown Gondola – the steepest cable car lift in the Southern Hemisphere! Sit back and relax as the best views in the region unfold before your eyes and the Gondola carries you 450 metres above Queenstown and Lake Wakatipu to the top of Bob’s Peak. En route you will enjoy a spectacular 220 degree panorama, with breath taking views of Coronet Peak, The Remarkables, Walter Peak, Cecil Peak and over Queenstown. On arrival, there are purpose built viewing platforms and outdoor terraces that provide great photo opportunities. After the Gondola ride, you will step foot in one of the best restauarants with a spectacular lake and mountain view. The famous Taste of New Zealand buffet offers delectable fresh seafood, salads, roast meats and delicious desserts, while the panoramic view from our windows will captivate you day or night. It’s the ideal place for that special night out and the best place in Queenstown to watch the sun go down! 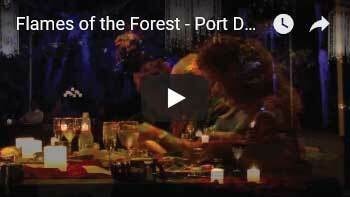 With live music creating a relaxing atmosphere and never ending scenery to admire, you will be entertained as you dine on the award winning cuisine. 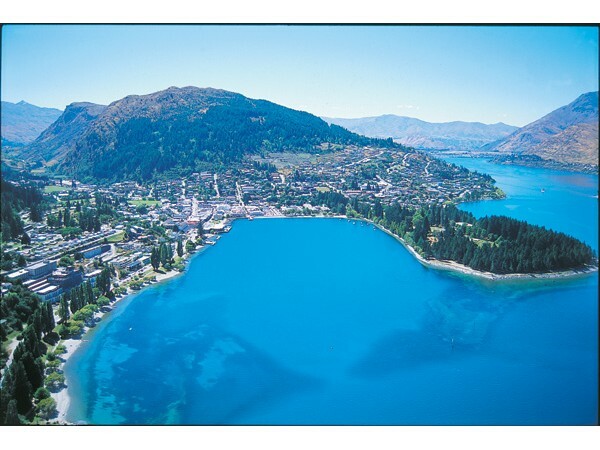 Your vacation accommodation is located near the shores of Lake Wakatipu, and only 3 minutes drive from the centre of town. The hotel features rooms most of which have spectacular views over the lake and the remarkable mountain range. Facilities include a range of hotel amenities that invite those who want to relax from their travel. These include an outdoor swimming pool, spa, sauna, gymnasium, restaurant, bar, conference rooms and a ski and boot drying room.  A convenient shuttle service to the town centre is also available. 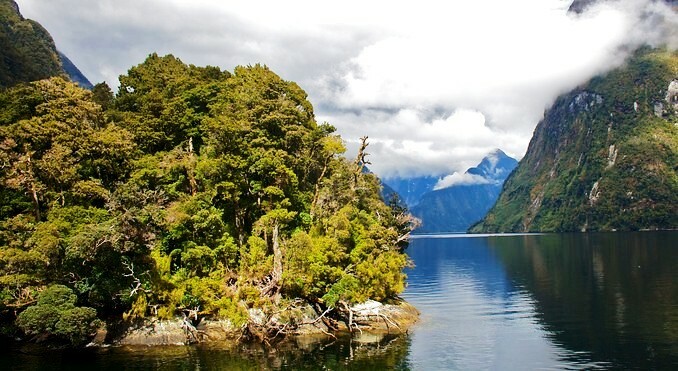 Travel and explore the surroundings by visiting New Zealand’s Milford Sound, Central Otago Wineries. For the nature lover, maybe enjoy a nice stroll on walking trails that meander along the lakes shores. In the evening perhaps dine whilst enjoying a Maori Concert and see powerful performances of The Haka and other songs of New Zealand custom. 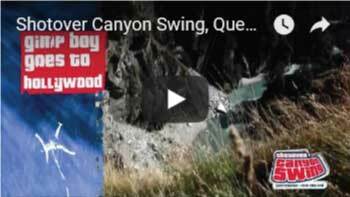 Shotover Canyon Swing is the world’s highest swing.With over 10 different jumpstyles we can expertly manage the scariness for everyone from knitting nanas to adrenaline junkies. 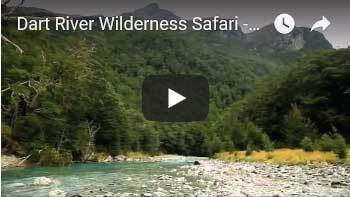 We have built a platform on the edge of a cliff 109m/360ft above the Shotover River. At the platform you are fitted into a seat and chest safety harness and connected to the jump ropes. This harnessing configuration keeps your arms and legs free throughout the journey and enabling you to safely depart the platform in any position imaginable. Gravity does the rest. Upon departing from the platform you’ll have a pure freefall of 60m/200ft into the canyon before the ropes smoothly pendulum you to a giant swing arc of 200m/650ft at 150kph. The freefall/swing journey is so smooth you’ll barely notice when you’ve finished freefalling and begun your swing. After a number of swings across the canyon we’ll winch you swiftly back up to the platform. 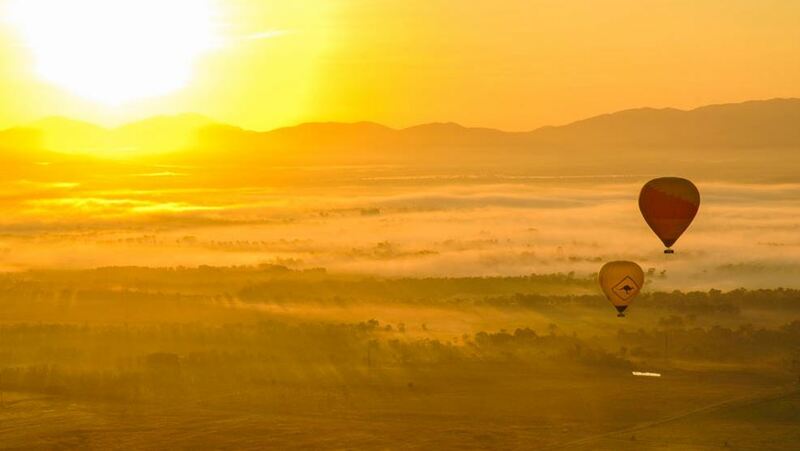 Enjoy a once in a life time experience in a hot air balloon. 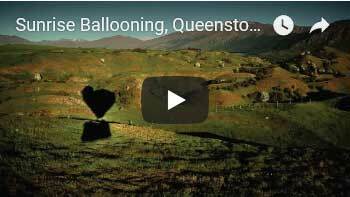 Queenstown, in New Zealand’s South Island, is the most spectacular place to fly in a hot air balloon! 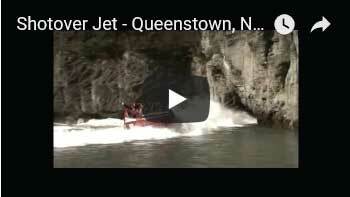 The flight is carried out near Queenstown in the valley between the Remarkables Range and Coronet Peak with panoramic views of the mountains and lakes of the area. Get a bird’s eye view of some of the filming locations used in “Lord Of The Rings”.After about a one hour flight, indulge in a champagne celebration which includes juice, tea,coffee, hot chococlate, croissants, danishes & muffins. Dress appropriately for the season, bearing in mind that this is an outdoor activity. It is no colder at altitude than on the ground before take off. Tramping boots or sports shoes are recommended. High heels and sandals are not suitable. Bring a hat! Passengers will be standing for the duration of the flight. Ballooning is weather dependent and we will only fly if weather conditions are suitable. Allow 3 ½ to 4 hours from pick-up at dawn* to drop off at your Hotel. Additional afternoon flight June, July and August in the afternoon. 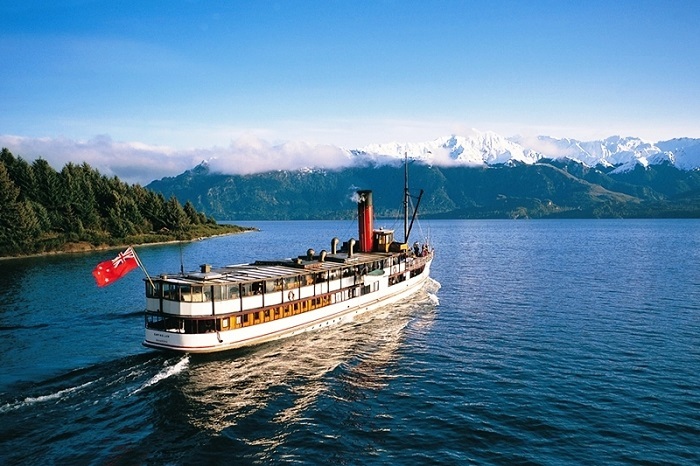 Relive the elegance of bygone days with a 1.5 hour cruise aboard a vintage steamship. What better way to view the magnificent scenery around Lake Wakatipu (Queenstown) than by taking a cruise a board the last remaining coal fired passenger carrying vessels operating in the southern hemisphere.Affectionately known as the Lady of the Lake, this vessel has a special place in the hearts of Queenstown people. She has been transporting goods to remote settlements and conveying passengers on beautiful Lake Wakatipu since 1912. 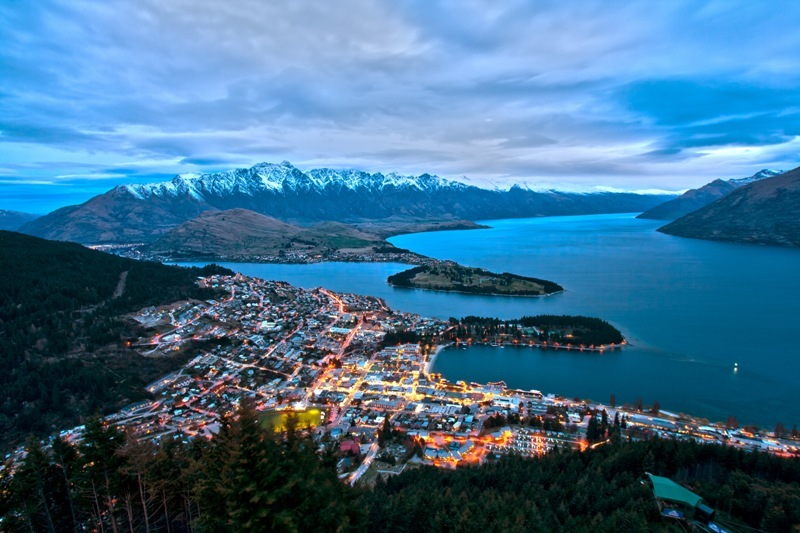 Take in the breathtaking sights of the land around Queenstown with time spent at ‘Lord of the Rings’ filming locations. 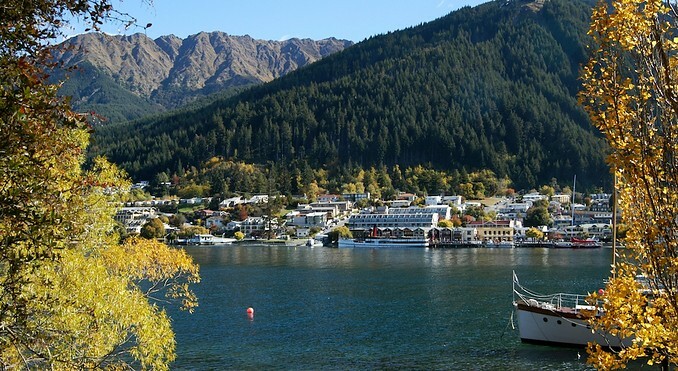 On this half day tour you will take in gorgeous mountain and forest views along the shores of Lake Wakatipu. Your Lord of the Rings set locations include Isengard, Ithilien Camp, beech forests used for Lothlorien and the Seat of Seeing/Battle of Amon Hen. Your tour operates with small groups (maximum of 22 people) that are suitable for first time tasters or wine connoisseurs. 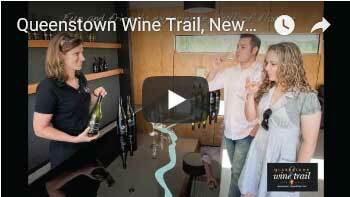 You will experience an in-depth introduction to four Queenstown wineries and an underground wine cave tour. 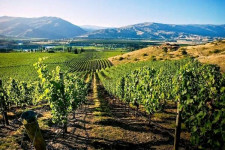 Friendly, knowledgeable guides offer an understanding of the unique Central Otago wine growing conditions and wines offered. 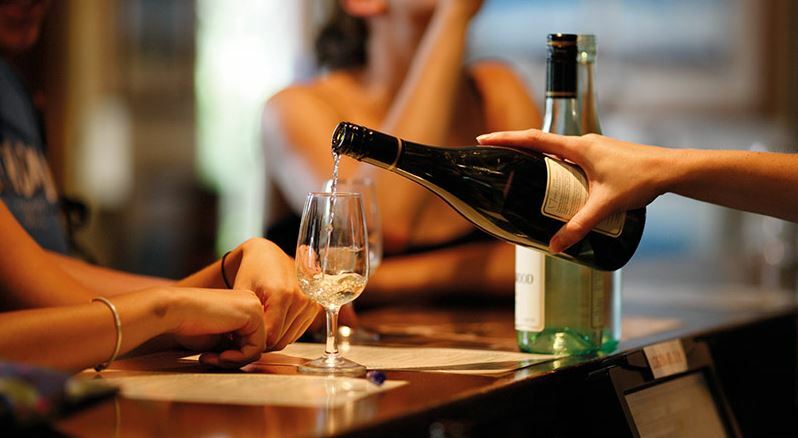 Travelling time is kept to a minimum, the pace is relaxed and wine always superb. Time for optional lunch (own expense) at Gibbston Valley Winery. 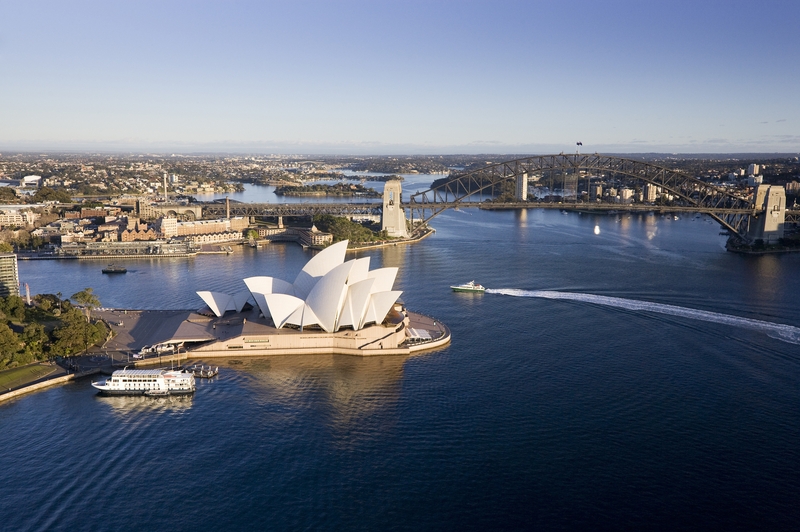 After departing from Queenstown, this short International Flight takes you overseas to Sydney, Australia. 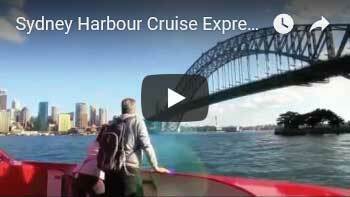 On your vacation explore Darling Harbour in Sydney, Australia with this unlimited 2 day pass and see all the wonderful Sydney harbour sights with local commentary. Start your Hop On Hop Off Harbour Explorer from one of the main tourist precincts of Circular Quay or Darling Harbour and enjoy seeing its stops as you cruise the harbour. 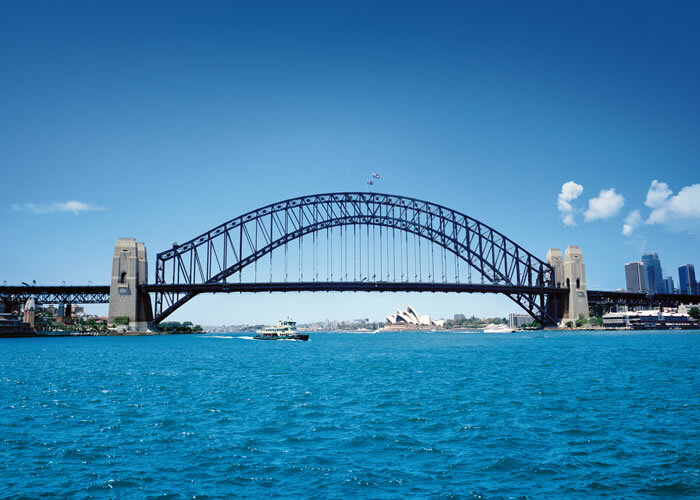 The Hop On Hop Off Harbour Explorer 2 day pass is the perfect way for you to explore Sydney as you stop off at eleven famous harbour attractions. These red rocket ferries criss-cross the harbour throughout the day, travelling between world famous stops including Circular Quay, Darling Harbour, Manly, Taronga Zoo, ICC Sydney, Barangaroo, Fort Denison, Luna Park, Shark Island, Garden Island and Watsons Bay. Hop-on and hop-off as you like using one easy to follow timetable, rather than the maze of commuter ferry timetables. 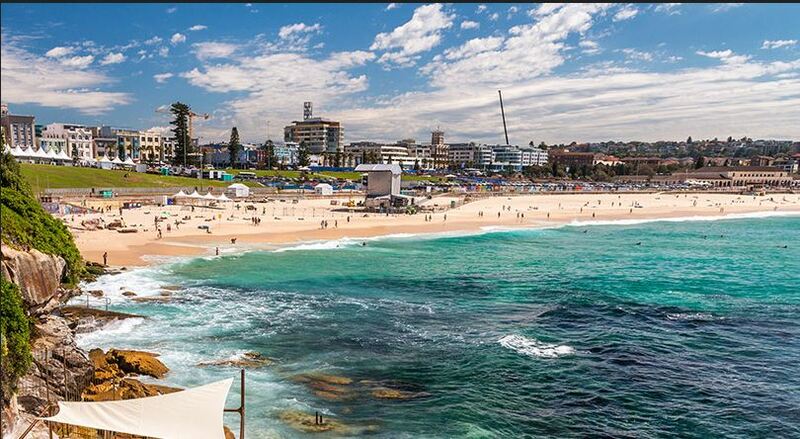 You’ll also be welcomed onboard, given full commentary and provided hints on how to make the most of your time in Sydney that only the locals know. 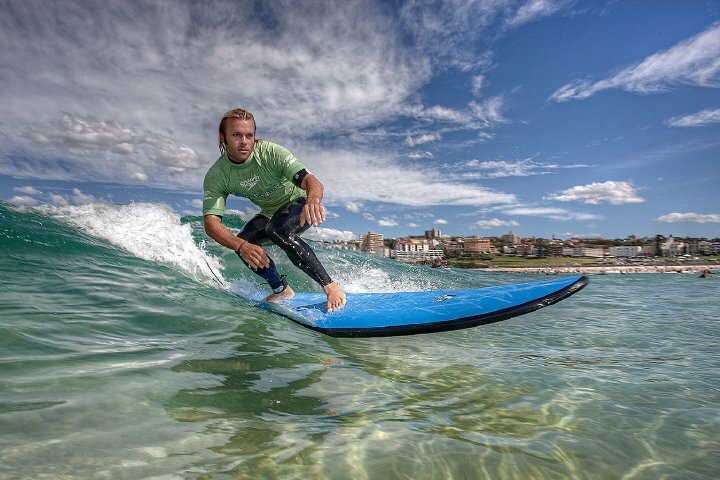 Manly: Famous for its surf beaches, ocean-front restaurants and cafes. 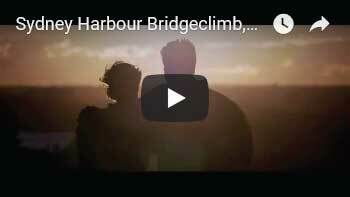 Take a 45-min walk to discover the natural beauty of North Head Sanctuary. Fort Denison: The historic island and cafe in the middle of Sydney Harbour. Barangaroo: Walk around the waterfront of Barangaroo Reserve or visit one of the many the restaurants or bars to grab a bite, as you look over the water. 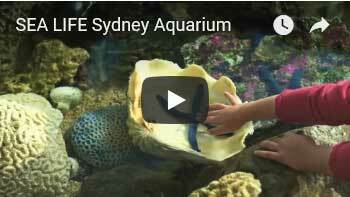 Taronga Zoo: Discover Australia’s amazing wildlife including koalas, platypus and kangaroos. ICC Sydney: Sydney’s premier convention and entertainment precinct with harbourside shopping, restaurants and bars. Shark Island: This island national park is the perfect destination for a BYO picnic lunch, complete with a small beach area for swimming. Watson’s Bay: Home of Doyle’s famous seafood restaurant and only a short walk to beautiful harbour swimming beaches, HMAS Watson and headland parks. Luna Park: Sydney’s famous fun park with rides and games, or walk across the Harbour Bridge from Milsons Point station. Garden Island: Visit the Royal Australian Heritage Centre and the 150-year-old historic gardens adjacent to the Centre with its panoramic views of Sydney Harbour. Come stand in a simulated open bridge of a World War II destroyer and get a submariner’s view of Sydney Harbour through the only fully operational attack periscope available for public use in Australia. 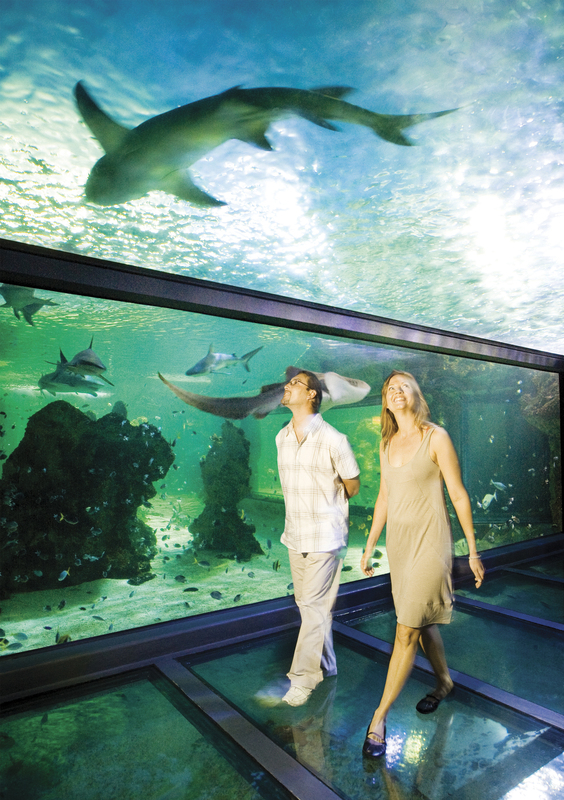 Darling Harbour: Aquarium & Wildlife World, Australian Maritime Museum, shops, restaurants and only a short stroll or Monorail to Sydney Tower, Star City Casino, Powerhouse Museum and China Town. Circular Quay: The Rocks historic precinct, weekend markets, Opera House, Royal Botanic Gardens and Harbour Bridge pylon. Be touched by the most ancient human culture on earth on a 90-minute leisurely walkabout with an Aboriginal guide in The Rocks, and Journey into Dreamtime, the culture of Aboriginal People. Start at Cadmans Cottage with an introduction, Acknowledgement to Country and an ochre painting activity. From there, visit Bligh and Barney Reserve looking at the Reserve’s native flora before moving on to Campbells Cove and amazing views of Sydney Harbour. 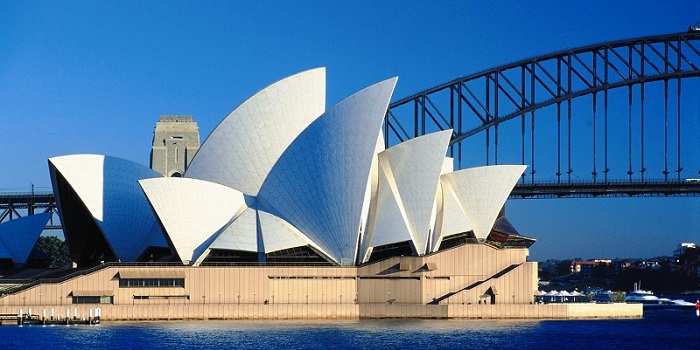 Discover the spiritual importance of the harbour, Opera House/Bennelong Point and Royal Botanical Gardens/Woccamagully. The Rocks Dreaming Aboriginal Heritage Tour is 100% Aboriginal owned and was developed by Aboriginal Elder, Margret Campbell, a Dunghutti-Jerrinjah woman. 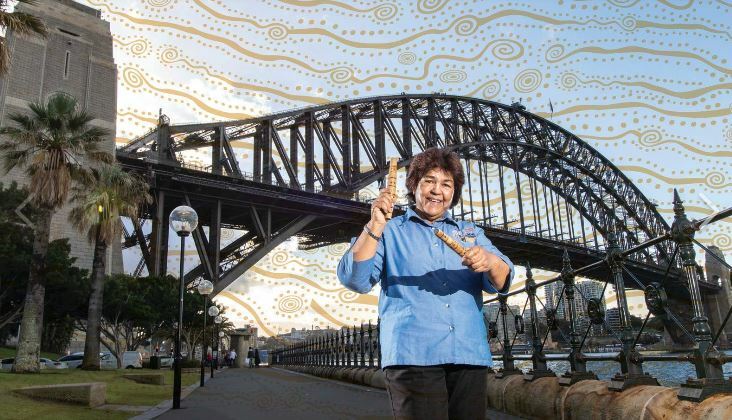 It is led by Aboriginal guides who have Margret’s permission to share her cultural knowledge and interpretation of Sydney’s Dreamtime Symbology – all within Sydney’s natural billion year old saltwater harbour and marine environment, sandstone strata, fresh waterways, flora and fauna that continue to influence Aboriginal people’s thinking and lifestyle today in cosmopolitan Sydney. The tour content is grounded in Aboriginal Culture with Aboriginal guides who are experts in culture, horticulture and storytelling. The journey will begin with a traditional OCHRE acknowledgement of Earth Mother’s EORA Gadigal heritage. This is further showcased in an interactive leisurely ‘walking on county experience’ that will connect you to the living wisdoms inherent in Sydney’s natural waterways, skies, and landscape. 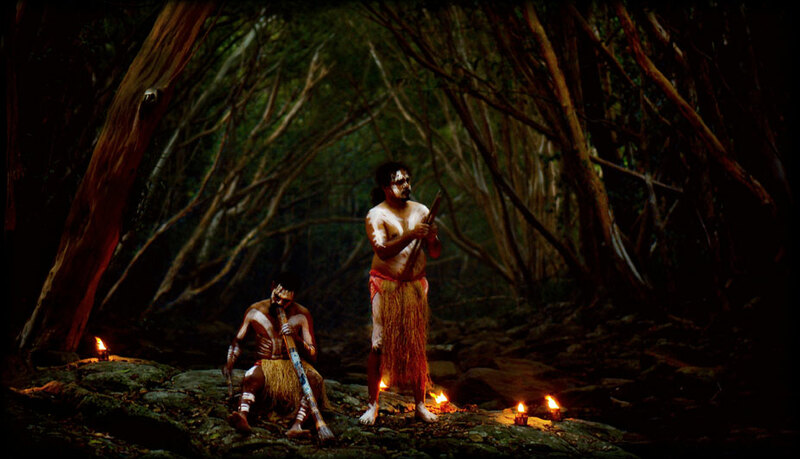 This 90 minute walkabout tour in The Rocks is a perfect introduction of Aboriginal Culture. It highlights the perspective of Sydney’s Dreamtime heritage that is intimate, enlightening and very informative. Take a unique opportunity to participate as crew on a real America’s Cup yacht. 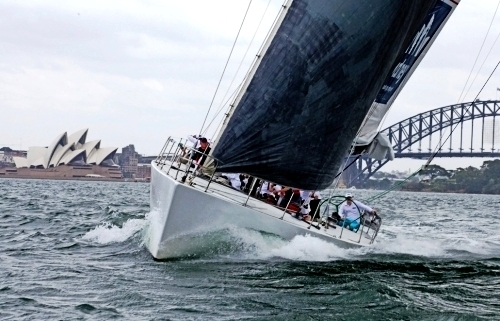 Take the helm, trim the sails, work on the grinders or simply sit back and enjoy the ride as you soak up the atmosphere and sights of spectacular Sydney Harbour. The America’s Cup is the world’s oldest and most prestigious sporting trophy and ultimate yachting regatta. Usually the domain of billionaires and elite professional yachtsmen, these amazing yachts offer a remarkable chance to participate in sailing on these grand prix racing machines. Australia was the first country to break the American hold on this famous old trophy in 1983, a 132 year winning streak that dated back to 1851. 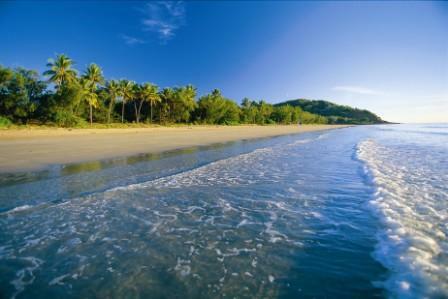 Travel within Australia by domestic air from Sydney to the gateway of the Great Barrier Reef, Cairns. 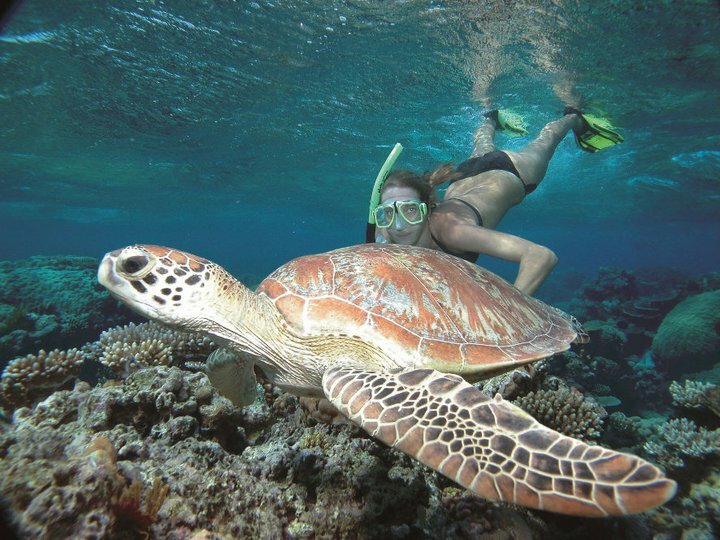 On this day of your vacation, travel to Australia’s Great Barrier Reef, one of the natural wonders of the world, and not surprisingly the world’s most extensive coral reef. 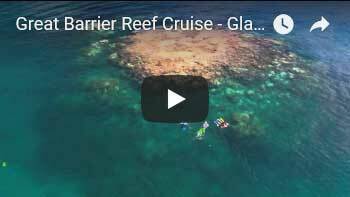 Cruise by luxury catamaran to reef activity platforms moored at the ribbon reefs on the outer edge of the Great Barrier Reef. Experience the unsurpassed coral formations, marine life and underwater visibility of the Agincourt Ribbon Reef system where you can explore this reef world from a semi-submersible boat. 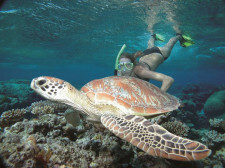 Marvel at the spectacular beauty of the reef teeming with tropical fishes, and explore the colourful coral. You can also view the marine life in the underwater observatory. Enjoy a buffet lunch (included). With facilities for swimmers and non-swimmers it’s sure to be fun for the whole family. Upgrades Available at Additional Cost: Introductory & Certified Diving, Ocean Walker Helmet Dive, Adventure Snorkel Tour with Marine Biologist & Helicopter Scenic Flights. Not Included: Fees Payable on Board: EMC AUD$5, Fuel Surcharge may be applicable. Subject to change, please verify before tour. 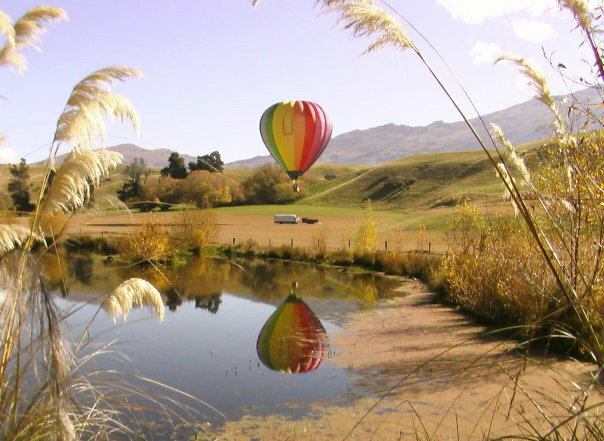 Enjoy the experience of a lifetime with this half day tour on a hot air balloon ride! Whether this is your first or one of many, this balloon ride is sure to be one of your favorites with a fun and highly trained crew to help maximize your fun. 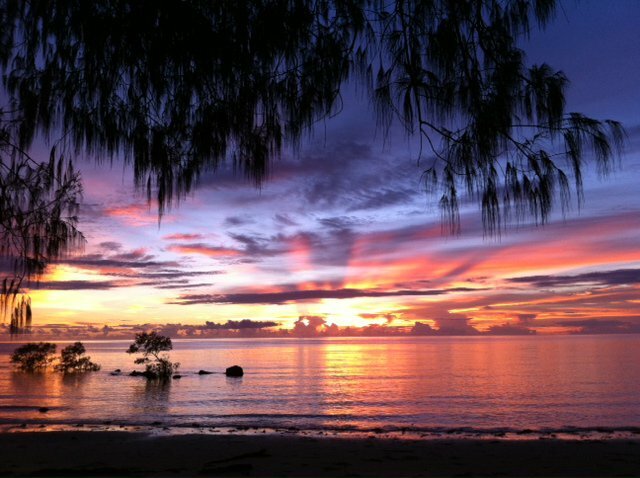 This morning, head about an hour west for take off to the Atherton Tablelands known for its excellent weather, spectacular scenery and reliable take off conditions. 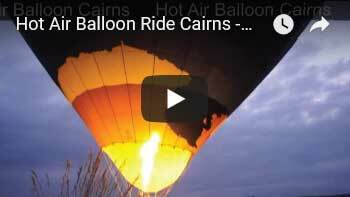 You will be in awe as you see the largest fleet of hot air balloons prepare to sail the skies. 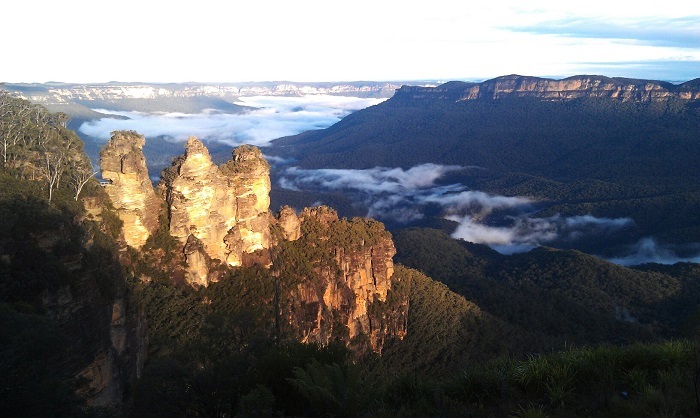 On your ride take in the picturesque landscapes at sunrise as you fly gently above the Tablelands. Even if you have a fear of heights, you’ll see that your flight is very gentle and stable since you gently lift from the ground making you feel comfortable and safe. 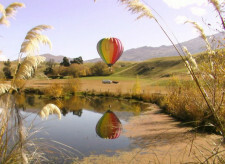 Experience the unique sensation of breathing in the crisp air on your 30 minute hot air ballooning ride across the wide-open space. When the burner is off, listen to the sounds around you as the wind whips through the air and the sounds below drift up towards you. After your flight, come back down to Earth for landing and have lots of laughs as you assist in hot air balloon pack-up games. Next, you can relax in the serenity of the Australian bush at a historic country homestead. Estimated Times: Depart: 5:00AM. Return: 10:00AM. 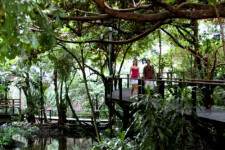 Visit four environments and experience a cacophony of wildlife all at once at the Wildlife Habitat Animal Sanctuary located at the entrance of Port Douglas. Situated on eight acres of land, the park recreates four very unique environments that allow you to see various and numerous species through meandering boardwalks. Enter through the Savannah, this new habitat offers an opportunity to wander amongst the beautifully rich coloured birds of northern Australian open woodland. 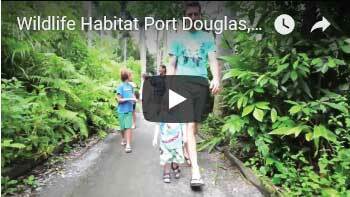 Check out the Wetlands where you can view wading birds as they forage for fish beneath the boardwalks, along with marsupials, fruit bats and other bird species. 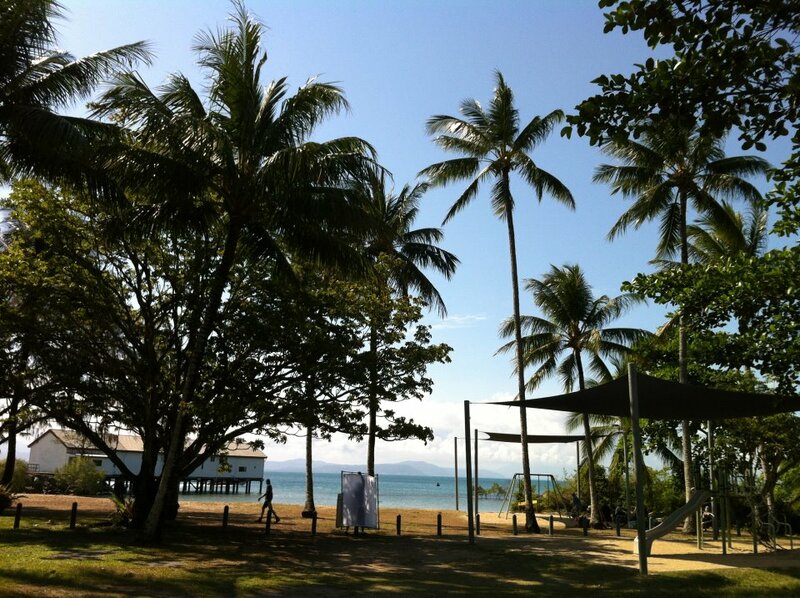 Depart Cairns and fly to Auckland.